Why Are People Talking About Explaindio 2? In the marketing world, people love to dissect what works and what doesn’t. You will hear people talk about how great a funnel is or how this headline converts so well. Explaindio 2 has gotten the entire online marketing world talking, not because of the high quality software, but about the marketing funnel! We have talked a lot about Explaindio here on Online Video Workshop, but rarely does a product cause a ruckus outside of the product itself. 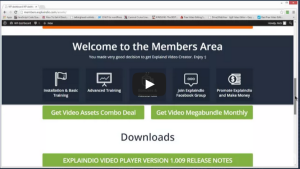 Explaindio 2 is an upgraded version of the popular video creation software that came out in November of last year. When it first came out, it was a simple program that made good videos. But immediately, the product creator, Andrew Darius, put a lot of time and money into the software to exceed his customers’ expectations. Updates came out daily. New features were added. Before long, the product that had sold so many copies was worth 10 times the initial price. But all these customers already had the software. So he couldn’t charge them for the updates. It was too late. So Andrew made an update to the software that pissed everyone off. He added a pop up window that made related offers to users when they first opened the software. Boy, did that cause a ruckus. But Andrew also added a pay to remove button to stop the pop ups. So he managed to get some money back from all the investment he had put into this amazing software. Now Explaindio 2.0 is available. It is even better than before, and the price is pretty good. But now, the software is priced monthly, to help recoup the developer costs for updates and upgrades. The software is not really the reason for the current discussion on Facebook groups and forums. Instead, it is the whole product experience. When you buy the software, you are put through a potential total of 18 upsells and downsells. Obviously, nobody will get to see all 18. If you purchase an upsell, you won’t see the downsell for that one. But I purchased Explaindio 2.0 and was pummeled with 11 upsells and downsells. I only bought 3 of them in addition to the software. Don’t get me wrong, I am not dissing the software, and even some of the upsells (which are very useful). But having to go through 11 pages to get to my purchase? Now, I found another reason to be irritated. I am paying a monthly fee for this software. You would think that the developer is making back his investment. But no, he still has the pop up window with the extortion button to get rid of it. I was actually insulted. Can you imagine if you paid $10 a month for Office 365 and every time you opened Word or Excel, Microsoft showed you a commercial? 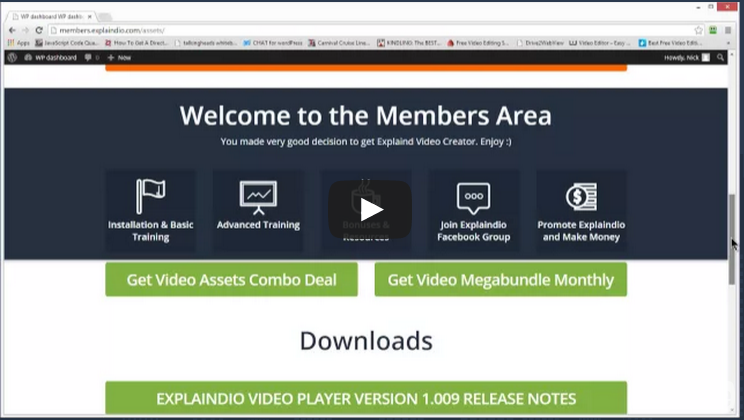 Ad: Finally, The Easiest Video Editor On The Planet!